New music by Gabriel Self! 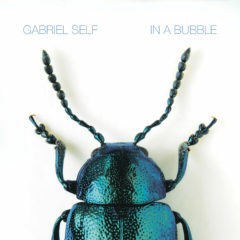 He has released his new single ‘In a Bubble’, which is the second song of his upcoming album ‘By the Time’. Two weeks ago Gabriel Self gave us a first preview of his upcoming new album ‘By The Time’ with the single ‘Going Places’. On this single Gabriel showcased a quick look into his sound featuring sunny harmonies and smooth instrumentation combined with old school hiphop beats . With ‘In a Bubble’ Gabriel picks up the pace, offering a more uptempo and funky side of the style we heard on his last single ‘Going Places’‘In a Bubble’ is now available on all online music services. The full album ‘By the Time’ will be out on september 15th, so stay tuned!